Our engineers have more than 100 years’ combined experience in the specification, design and fabrication of flexible pipes and associated ancillary equipment. Amongst the many Design and Specification projects which we’ve carried out a select few samples are detailed below. Review and approval of cross section designs. Risers, flowlines, jumpers and datasheets. Subsea umbilicals and jumpersand other pre-installed items. The FPSO was permanently turret-moored above these with a 3×4 mooring. Review of recommended hook-up sequences and limiting criteria with the client and mooring specialist. 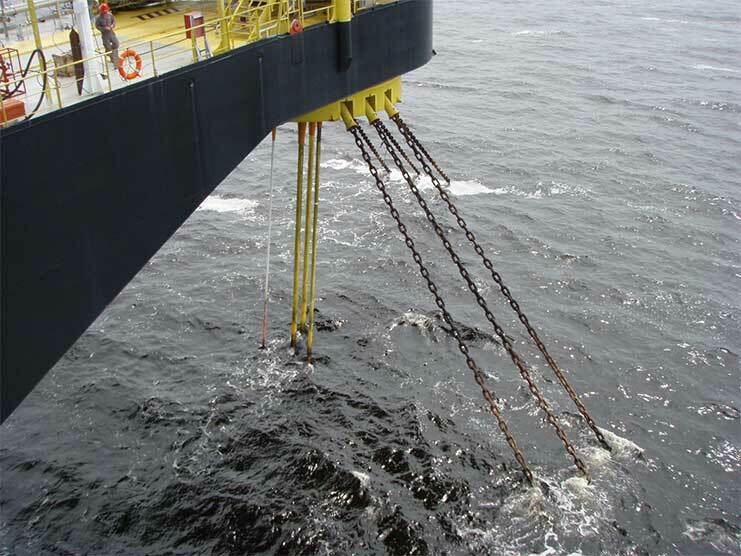 Flexlife was approached to design, fabricate and supply a riser system which included a flexible pipe, J-tube and associated clamps, for an existing field tieback in the East Irish Sea. The design had to take into account shallow water dynamic field infrastructure, ageing assets, a lack of survey data and restricted topside access. We delivered a bespoke design within six weeks of commencing the project. 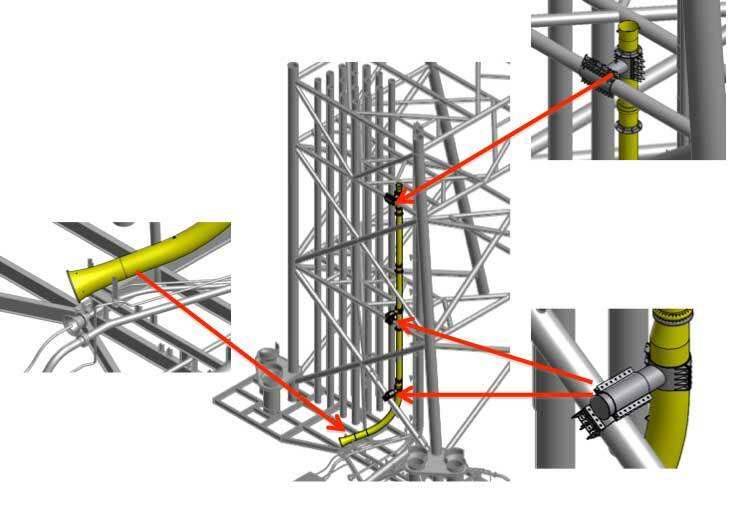 A full integration analysis, flexible pipe global and fatigue analysis took placeand the systems were delivered in accordance with vessel schedules. The time from initial concept to installation was less than four months. © 2019 Flexlife Ltd. All rights reserved.